Last week, my sister has given birth at the Melaka General Hospital. 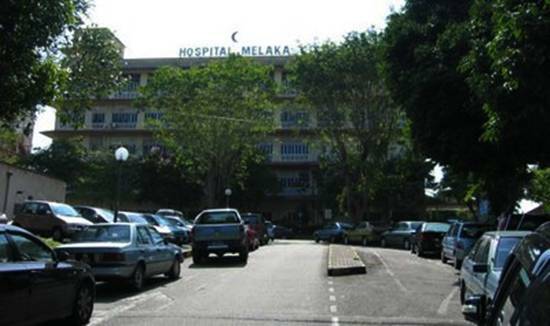 Melaka General Hospital is the main government hospital in Melaka. It is being used not only for Melaka citizen but also serving patient from nearby state such as Johor and Negeri Sembilan. The hospital has more than 900 beds and one of the largest hospitals in the country. Melaka General Hospital was built in 1930s and officiated by Sir Cecil Clementi, Governor of the Straits Settlements on February 12, 1934. The new building was built in the 1990s and was officiated by former Prime Minister, Y.A.Bhg Tun Dr. Mahathir Mohamad on August 9,1999. There’s a new multilevel parking which will be completed in 2013 to solve the parking problem at the hospital. 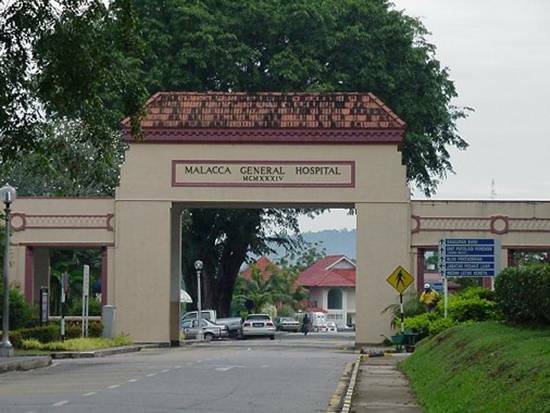 Melaka General Hospital is situated at Jalan Peringgit/Jalan Bukit Palah which is about 5 km from Melaka city and around 1-2 km from Melaka main bus station, Melaka Sentral. The land area of the hospital is approximately 17.4 acres and provide with latest facilities and infrastructure which includes non-medical facilities such as public telephone, ATMs and vending machine. 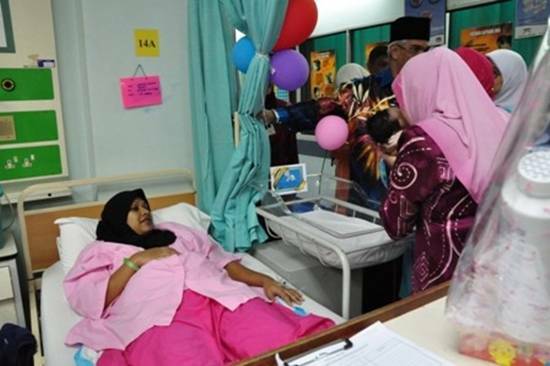 The hospital also provides ‘surau’ at all level. There’s also a cafeteria if visitor feeling hungry and don’t want to go out from hospital, and a shop where you can buy food or tidbits . If you don’t like to eat in, you can always go out, but patients are not encourage to go out in their hospital clothing 🙂 There are many restaurant nearby and there are hypermarkets such as TESCO, AEON and Mydin. 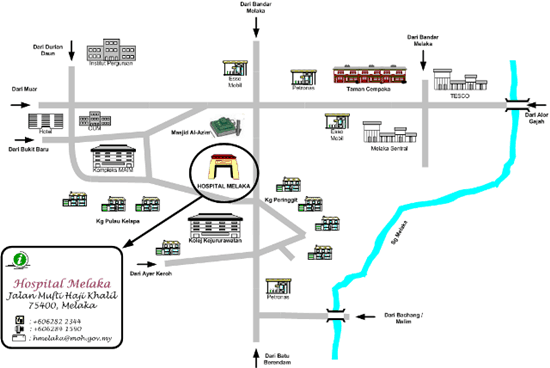 Al-Azim mosque is located next to the hospital. To visit patient, there’s 2 time you can visit. Visitors are not allowed to eat/drink in the ward. Forbidden to make noise in the ward. Must maintain cleanliness and public property. Must obey to security instructions. Expressing sympathy, pleasant disposition and goodwill while visiting patients. Advise patients to be patient. Circumcision pray so that patients quick recovers. Understand the situation and do not wait too long during a visit. Park the vehicles at the allowed place only. Prohibited parking that can block the emergency lane. Make sure your vehicle is locked to prevent untoward incidents. I would like to enquiry whether GH got circumcision for adult 37years old? If got , refer to which department? Hi,may I check Malaka general hospital have MRI scan?